The second of two images I “rediscovered” while going through photographs for my master’s project. One thing that I noticed throughout that day on the Albert C. was that my shutter speeds were remarkably high all day long–relatively large apertures (for limited depth of field) combined with the all-white ship resulted in a great deal of main and fill light all the time. What was amazing about that was I only needed my flash a couple of times, and even then only inside the pilot house. In preparation for weaving together a narrative for my master’s on Asian carp, a river flowing the wrong way, and people’s livelihoods caught in the mix, I have been going back over some of my photos for the project, and in the process I have found a couple that I had not toned and ranked only “one star” in Lightroom. This image, and the one I will post tomorrow, is now a three star image storytelling image and shaped up nicely with some simple white point, black point, and curve adjustments. 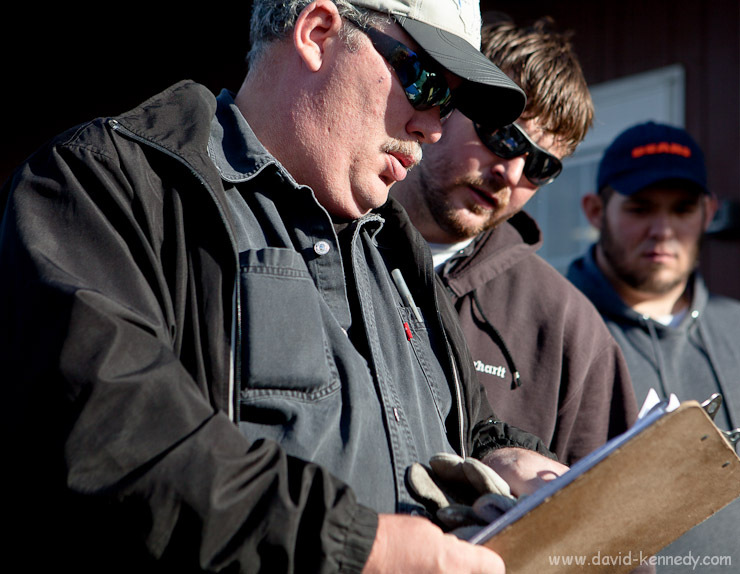 Tim Griest of Illinois Marine Towing goes over crew assignments with Josh Fox on the morning of their shift change on October 20, 2010 in Lemont, Ilinois. | Canon 5D Mk. II and 24-70mm f/2.8L lens @ 70mm | Exposed 1/1000 sec. @ f/4, ISO 200. Before I even got onto the Chicago Sanitary and Ship Canal, I found myself outside the office of Illinois Marine Towing in Lemont, Ill., talking to some of the deck hands who were scheduled to start work that morning, and would remain at work for three weeks. Crews on the tugboats that push barges up and down the waterways live on the boats for three weeks at a time, sometimes four if they’d like to earn a bit more money, before coming home for a few weeks. 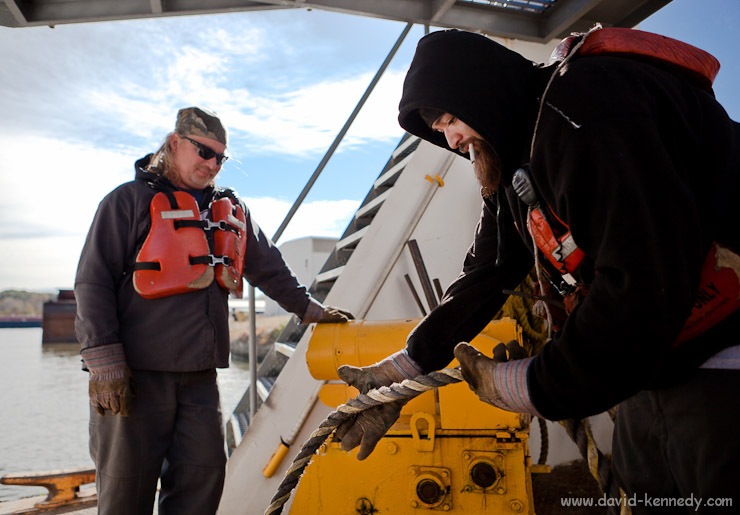 There are a lot of moving parts in the discussion about Asian carp and the Great Lakes, and these people who make their living working on the Chicago Sanitary and Ship Canal are a part of that debate, as is the cargo that they help to push up and down the waterways. 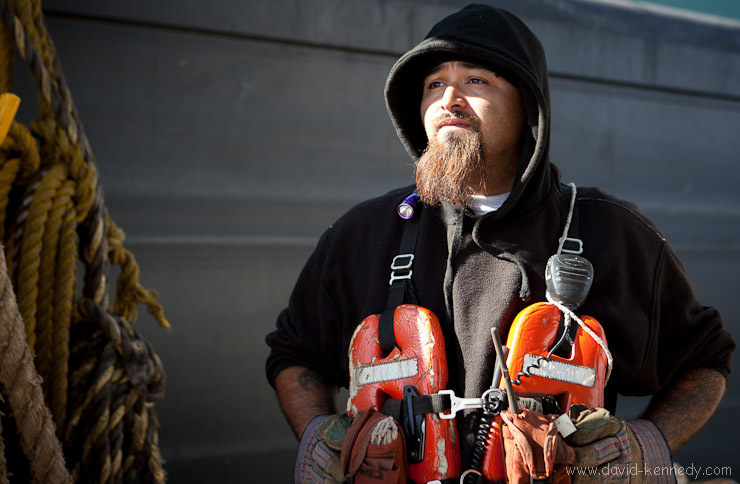 Antonio Lopez, a deck hand for Illinois Marine Towing, looks on as a barge loaded with components for gasoline passes by on October 20, 2010 on the Chicago Sanitary and Ship Canal near Lemont, Ill. Perez, who is in his sixth year in the industry, has already earned his steerage license and plans to make a career on the canal. | Canon 5D Mk. II and 24-70mm f/2.8L lens @ 51mm | Exposed 1/200 sec. 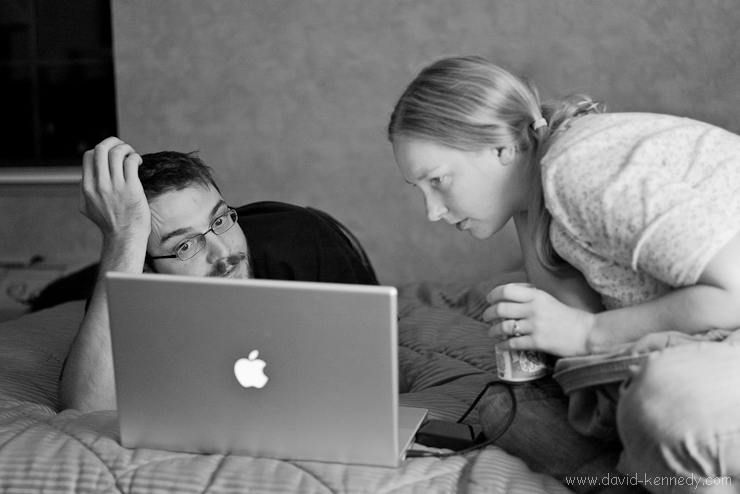 @ f/3.5, ISO 100. Last Wednesday I had an opportunity to spend most of a day on the Chicago Sanitary and Ship Canal with three men who make their living pushing cargo up and down the man-made waterway created 110 years ago. Bill Russell at Illinois Marine Towing, a small barge company in Lemont, Illinois, granted me access to one of the fleet boats as it repositioned barges and other tug boats around the shipyard and up and down a stretch of the canal. Capt. Dan Egan, Antonio Lopez, and Steve Gray were all very open to the idea, and basically allowed me great access to the work that they do, although there are some safety precautions that certainly limit how much of their job I could photograph from close range. But I didn’t want to be the victim of a snapped line or fall into the water, either! Be sure to see the rest of the images after the jump. And there will be more to come! 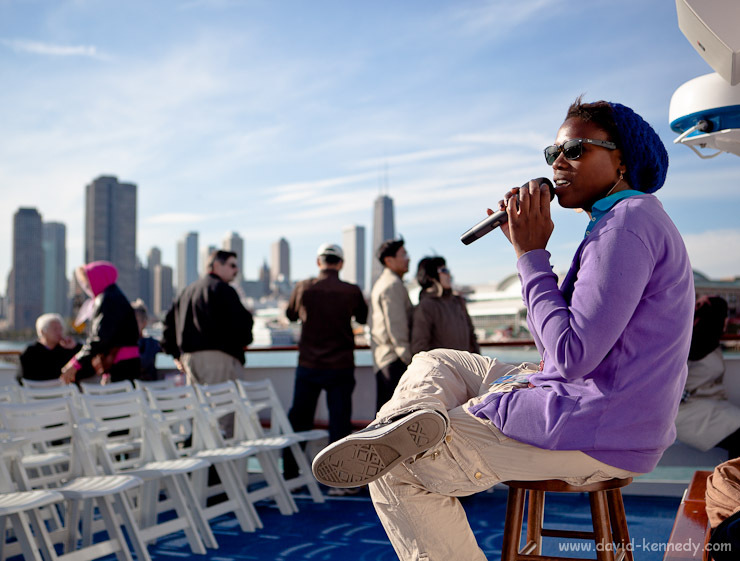 Mallory Green, a tour guide for Wendella Boats, tells passengers about the famous Chicago skyline on Tuesday, Oct. 19, 2010. 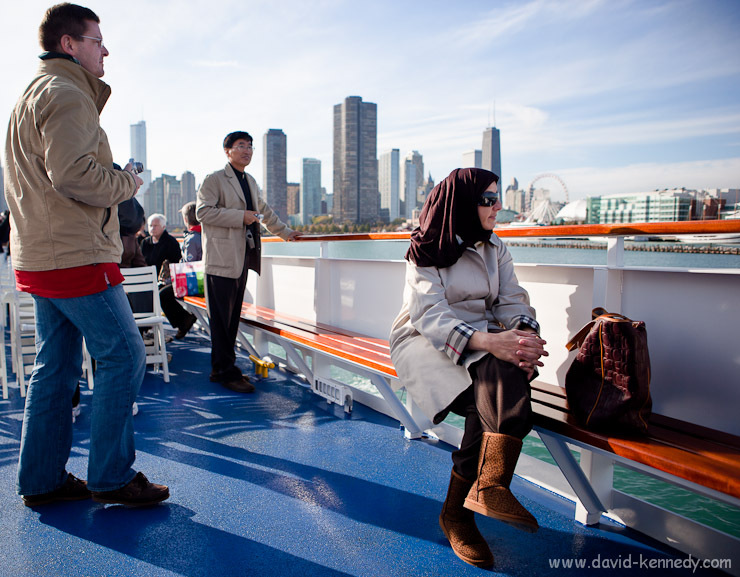 Tour companies like Wendella Boats would be hampered if the Chicago Harbor Lock was closed in an effort to prevent Asian carp from reaching Lake Michigan. | Canon 5D Mk. II and 24-70mm f/2.8L lens @ 40mm | Exposed 1/2500 sec. @ f/2.8, ISO 100. I’m beginning to wrap the shooting for my master’s project. One of my last days was spent playing tourist in a city I used to live in. 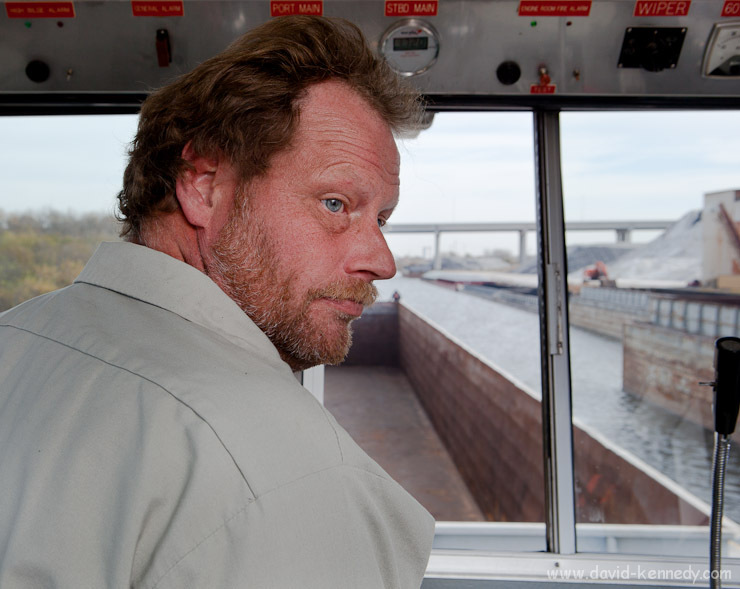 While barge companies would be adversely affected if the Thomas J. O’Brien lock on the Cal-Sag Channel was closed permentntly, closing the Chicago Harbor Lock would mean an end to boat traffic from Lake Michigan to the Chicago River, and hurt tour companies like Wendella Boats. 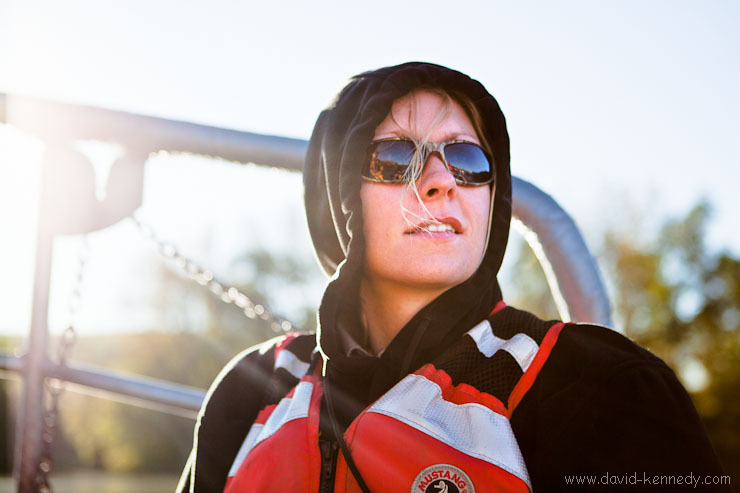 Heather Calkins looks back at the Cal-Sag Channel as the Fish & Wildlife Service electro-shocking boat heads towards the Thomas P. O'Brien Lock and Dam in Chicago, Ill. | Canon 5D Mk. II and 24-70mm f/2.8L lens @ 52mm | Exposed 1/2000 sec. 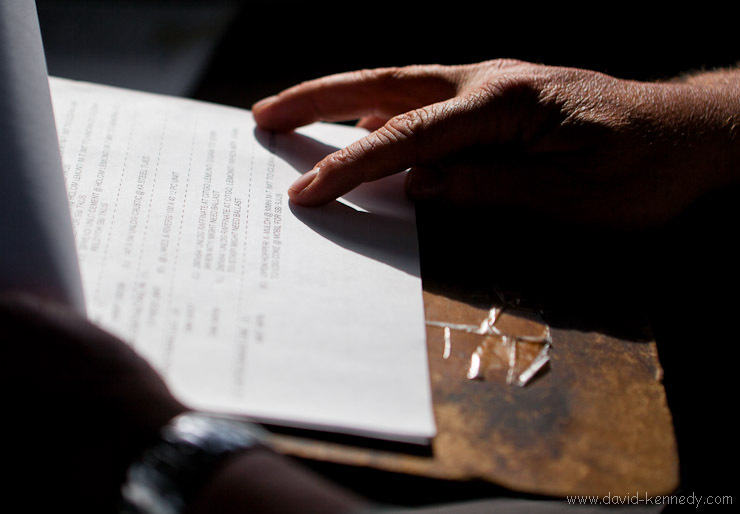 @ f/2.8, ISO 200. 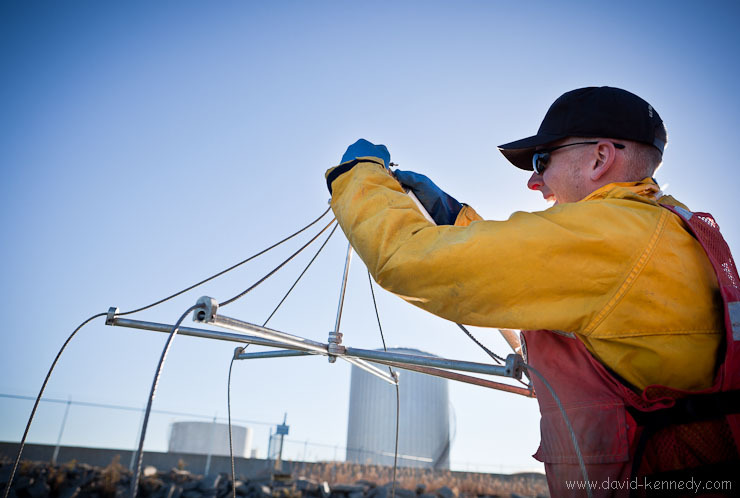 Brett Witte sets up the electro-shocking probes before setting them in the water ahead of the Fish & Wildlife Service boat in Lake Calumet, beyond the Thomas P. O'Brien Lock and Dam on the Cal-Sag Channel, Chicago, Ill. | Canon 5D Mk. II and 24-70mm f/2.8L lens @ 24mm | Exposed 1/500 sec. @ f/4, ISO 100. 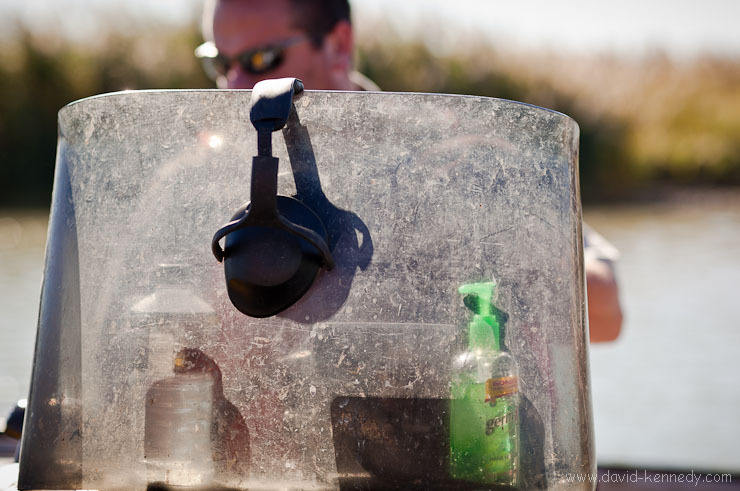 A bottle of hand sanitizer and ear-protective goggles rest on the plexiglass shield ahead of the pilot's position on the Fish & Wildlife Service electro-shocking boat. | Canon 5D Mk. II and 85mm f/1.2L II lens | Exposed 1/800 sec. @ f/2.8, ISO 100.